Have you ever noticed how successful people keep getting more successful year after year? Think of any successful person and where are they? Still on top. 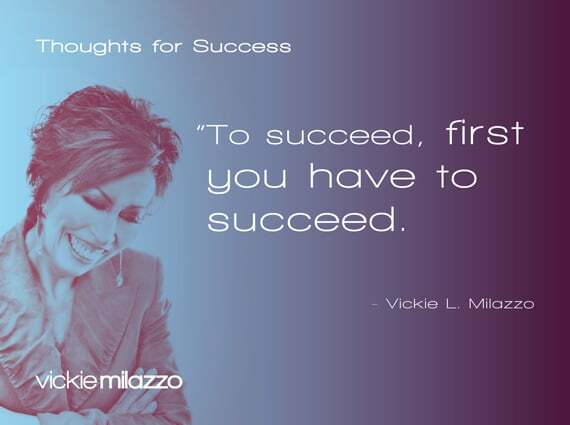 While you might yearn to know their secrets and strategies and be privy to their connections, here’s the reality about success: “To succeed, first you have to succeed.” You have to manifest your first success to keep succeeding. If you’re one of the successful, you can rejoice in the fact of knowing that all your hard effort and work has paid off, creating an unstoppable momentum to achieve more goals in the future, unless of course, you get in your own way. If you’re struggling to achieve your goals, today’s Thought for Success can feel like a harsh slap in the face. But don’t despair. Often your first successes are the hardest to achieve. Remember though, once you’ve achieved that first one, you can use that as a lever to achieve more. P.S. Comment and share how your first success as a Certified Legal Nurse Consultant has led to more success. Thoughts for Success: Believing in Yourself Doesn’t Make Success Easy. It Makes Success Possible. Are Your Legal Nurse Consulting Goals Too Big, Too Small or Just Right?